Football great, Franco Harris, was born on March 7, 1950 in Fort Dix, New Jersey. 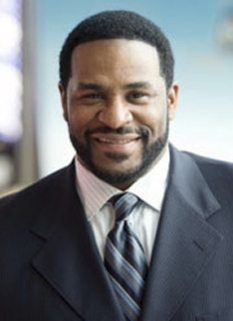 Harris is a retired NFL player best known for his career with the Pittsburgh Steelers. 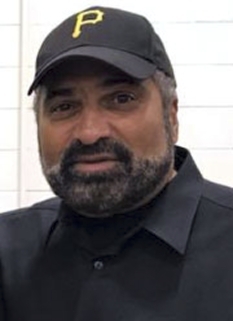 In the 1972 NFL draft Franco Harris was chosen by the Pittsburgh Steelers in the first round, the 13th selection overall. 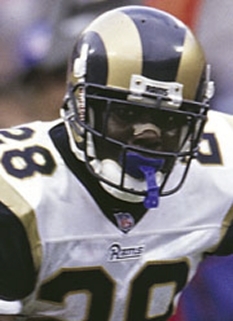 His selection by the team was considered controversial at the time, as many thought the team would select his Penn State teammate, Lydell Mitchell. (Mitchell was later selected by the Baltimore Colts in the draft.) 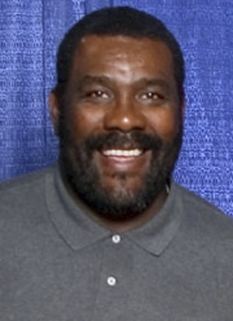 He played his first 12 years in the NFL with the Steelers; his 13th and final year (1984) was spent with the Seattle Seahawks. He was inducted into the Pro Football Hall of Fame in 1990. 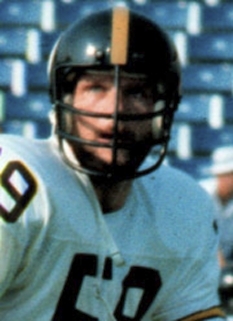 In his first season with the Steelers (1972), Harris was named the league's rookie of the year by both The Sporting News and United Press International. In that season he gained 1,055 yards on 188 carries, with a 5.6 yards per carry average. He also rushed for 10 touchdowns and caught 3 touchdown passes. He was popular with Pittsburgh's large Italian-American population: his fans dubbing themselves "Franco's Italian Army" and wore army helmets with his number on them. Franco Harris was chosen for 9 consecutive Pro Bowls from 1972 through 1980, and was All-Pro in 1977. He broke Jim Brown's record by rushing for more than 1,000 yards in 8 seasons. The tandem running package of Harris and Rocky Bleier combined with a strong defense to win four Super Bowls in the 1974, 1975, 1978, and 1979 seasons. In 1975 he was the Most Valuable Player of Super Bowl IX; in that game he rushed for 158 yards and a touchdown on 34 carries for a 16-6 win over the Minnesota Vikings. Harris was the first African American as well as the first Italian-American to be named Super Bowl MVP. 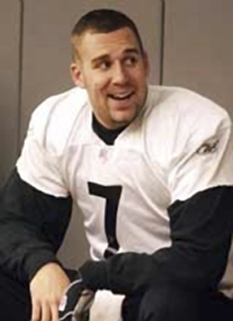 Harris was a major contributor for the Steelers in all of their first four Super Bowl wins. His Super Bowl career totals of 101 carries for 354 yards are records and his 4 career rushing touchdowns are tied for the second most in Super Bowl history. In his 13 professional seasons, Harris gained 12,120 yards on 2,949 carries, a 4.1 yards per carry average, and scored 91 rushing touchdowns. He caught 307 passes for 2,287 yards (2091 m), a 7.4 average, and 9 touchdowns. While the Steelers no longer officially retire uniform numbers, they have not reissued his number 32 since he left the team, and it is generally understood that no Steeler will ever wear that number again. Following the 1983 season, Harris and Walter Payton were both closing in on Jim Brown's NFL rushing record, and had asked the Rooney family for a pay raise. The Rooney family refused, and Harris threatened to hold out. The Steelers released Harris in training camp in 1984, which would start similar patterns years later with Rod Woodson and Alan Faneca both asking similar demands before leaving in free agency. (Free agency, as it is seen today in the NFL, was not existent at the time of Harris's release.) 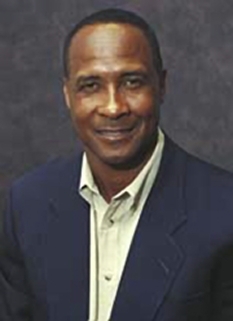 Harris would sign with the Seattle Seahawks during the 1984 season and would play eight games with the team, earning a few hundred yards before retiring. 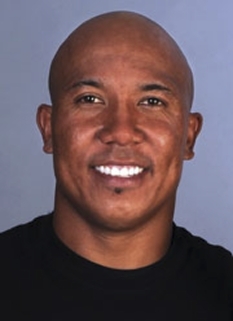 In 1999, he was ranked number 83 on The Sporting News' list of the 100 Greatest Football Players. In 2006, The Heinz History Center, home of the Western Pennsylvania Sports Museum, installed a life-size figure of Harris in the grand concourse of Pittsburgh International Airport. The statue is a recreation of Harris' "Immaculate Reception." Harris is the owner of Super Bakery, Inc. In 1996 Harris purchased the Parks Sausage Company, the first black-owned business in the United States to offer public stock. He is also a paid representative for the Harrah's/Forest City Enterprises casino plan for downtown Pittsburgh. This association has earned him the tongue-in-cheek nickname "Franco Harrahs". DISCLAIMER: PFP Sports Talent Agency does not claim to represent itself as the exclusive agent for Franco Harris. PFP Sports Talent Agency is a booking agency that represents organizations seeking to hire pro athletes and sports personalities such as Franco Harris for speaking engagements, personal appearances, product endorsements and corporate entertainment. Fees on this website are estimates and are intended only as a guideline. Exact fees are determined by a number of factors, including the location of event, the talent’s schedule, requested duties and supply and demand. PFP Sports Talent Agency makes no guarantees to the accuracy of information found on this website and does not warrant that any information or representations contained on this website will be accurate or free from errors. 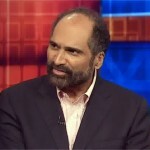 We are often asked how can I find out who is Franco Harris's agent? To find Franco Harris appearance fees and booking agent details, you can contact the agent, representative or manager through PFP Sports Talent Agency for speaking fee costs and availability. PFP Sports Talent Agency can help your company choose the ideal sports personality for your next marketing campaign. To hire Franco Harris for an appearance, speaking event or endorsement, contact Franco Harris's booking agent for more information.